Creation is never easy, especially in the midst of chaos. Kyle Racki survived personal and professional hell on the road from struggling freelancer to successful software entrepreneur. The tactical knowledge he gained through adversity can help any aspiring business owner accomplish their dreams, no matter what the obstacles. 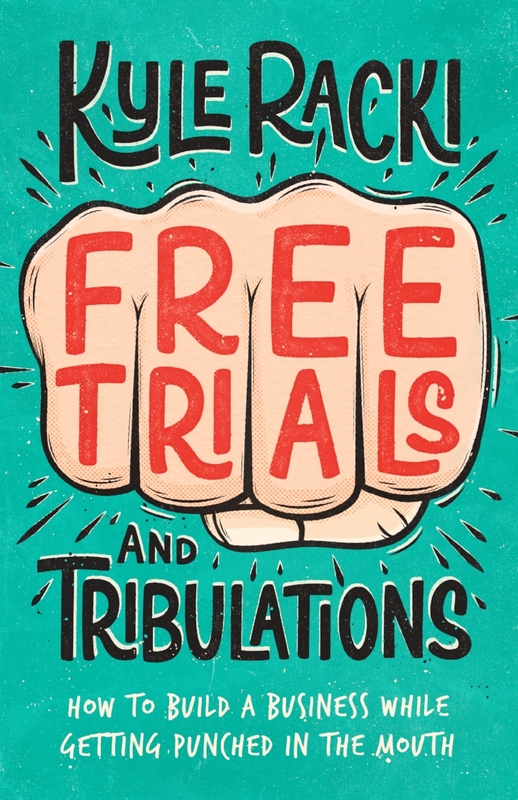 In Free Trials (and Tribulations), Kyle shares his remarkable journey and the valuable business lessons he learned along the way. From a difficult beginning, dealing with grief, divorce, and being shunned for abandoning a religion he realized was a cult, Kyle discovered how to take the punches and make them work for him. His incredible story can inspire anyone to overcome even the biggest setbacks to develop a product, find a business partner, raise investment capital, scale a company, and more. Running a company can be a lonely, stressful experience. But by following Kyle Racki's lead, you can come out on top no matter how far down you started.